Educators will learn about the use the application of language and writing as it applies to mathematical concepts and situational examples that translate to numerical applications. Teachers will examine reading problems that hinder student comprehension of worded problems and to simplify or reword questions so students understand the math involved. Educators will learn about applying writing to the mathematics classroom and how that helps students comprehend the mathematical computations involved within language and literacy development. The wording for describing graphic representations from a visual format and then expressing the concepts to create meaning are also presented. 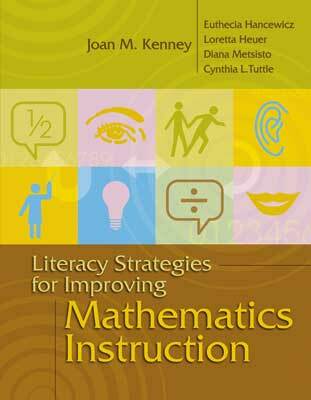 Teachers will develop lesson or unit plans that apply literacy strategies for addressing learning deficiencies and how this can help students improve their mathematical skills.